1. When should I call a moving company? 2. Do I need an estimate? 3. What is a binding estimate? 4. When is the best time to move? 5. How long does it take to move? 6. Is a moving company "licensed?" 7. How do you determine what my move will cost? 8. What is a tariff? 9. How and when should I pay? 10. Am I protected against loss or damage while my goods are in transit? 13. Items of "extraordinary value"
14. Can my possessions be stored temporarily? 15. Will my furnishings remain clean? 16. Do my appliances need special attention? 17. Can I pack my china, glass and crystal? 18. Can I pack my clothes in a chest or dresser drawers? 19. Can I move my frozen foods? 20. Can I move jewelry and other valuables? 21. Can I move my house plants? 22. Can I move my pet? The earlier, the better. Although the actual van assignment may not be made until a few days before your move, it's wise to give your moving company from four to six week's notice, if possible. The more lead time you can give, the more likely we will be able to meet your preferred delivery schedule. All moving companies, for their standard type of service, require alternate pickup and delivery dates. We'll do our best, of course, to comply with the dates you prefer or the nearest possible alternatives. You will be notified in advance of the loading date for your goods and of the estimated date of arrival. If your pickup and delivery dates are critical due to such factors as a lease expiration or a real estate closing, you may choose an extra-cost service which will enable us to accommodate a more precise, reasonable schedule. You should discuss your specific pickup and delivery requirements with your United agent, who can advise you regarding the types and costs of services available. 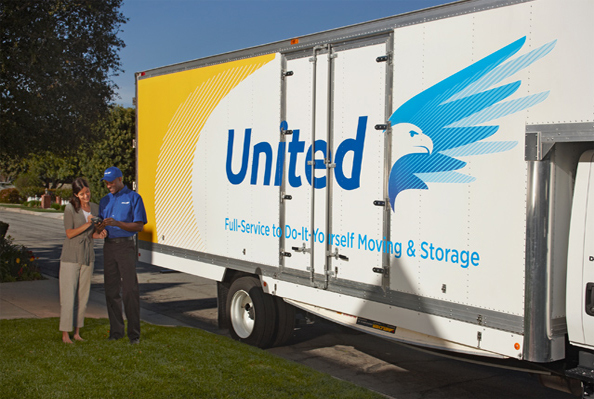 A United agent will make a pre-move survey of your household goods to be transported. A pre-move survey is needed to determine the approximate cost of a move and the amount of van space your goods will occupy. Your United agent will compute the approximate cost and give you a written Estimate/Order for Service. An accurate estimate cannot be calculated without a visual survey of the goods to be moved. There is no charge for the estimate. Keep in mind that estimates (household goods surveys) are only guidelines. On interstate shipments, you must pay the total charges as determined by the actual weight of your shipment, the distance it travels, and the services that you authorize or which become necessary to handle your shipment. Charges for local shipments are generally calculated on an hourly basis. There may be a minimum number of hours required. These shipments are handled by the local moving company, not the interstate carrier. A binding estimate or binding cost of service specifies in advance the precise cost of the move based on the services requested or deemed necessary at the time of the estimate. If additional services are requested or required at either origin or destination (such as a "shuttle" to or from a location to which a full-size van cannot operate directly), the total cost will increase. Binding estimates are valid for the time period specified, up to 60 days. If you add items to be moved or require additional services, such as packing, between the time of the estimate and the time of your move, there will be additional charges. An addendum specifying these additional charges will be prepared for your signature. If you are interested in obtaining a binding estimate, please discuss it with your United agent. If there is a choice, most moving companies suggest you select a time other than summer, the end of the month or the end-of-year holidays. The heaviest demands are placed on vans, equipment and personnel during these periods. However, United Van Lines believes you should move when it is most convenient for you. Factors involved in the decision may include: Whether the move must be made immediately moving children during the school term separation of the family while the move is under way If the move can be scheduled for a time when vans and trained personnel are more readily available, we'll be better able to meet your preferred delivery schedule. This depends on many factors, such as the time of year, weather conditions, size of your shipment, time required to load and unload, and the direction and distance your shipment is traveling. Because the furnishings of the average household will not fill a van, it is often necessary for two or more shipments to be loaded on the same van. Each shipment is carefully sectioned off from the others. With the help of United's computer-assisted dispatching system, pickup and delivery dates are scheduled according to the origins and destinations of individual shipments on the van, as well as shipment weight. It would be more accurate to say that a moving company is "registered." For example, United Van Lines has been issued a certificate of authority by the federal government to move household goods among any of the 50 states. 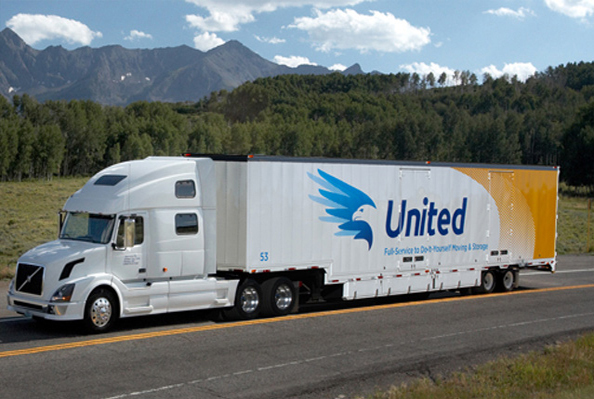 As a motor carrier, United has maintained a certificate of authority with the US Department of Transportation (DOT) since September 27, 1988. 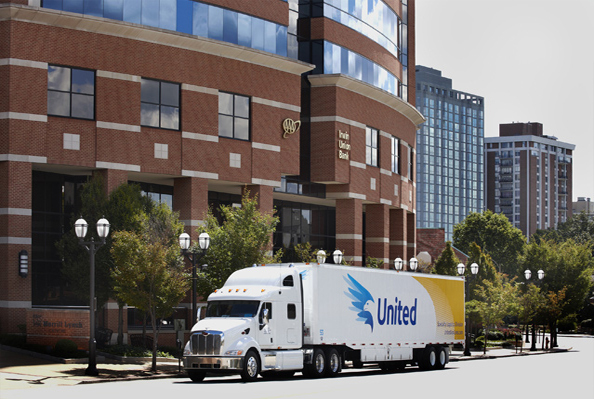 A local moving company ("agency") affiliated with a national van line such as United may also be registered with the DOT to move interstate shipments within certain geographical areas. Unless you have been given a binding estimate, the exact cost of your move cannot be determined until after your shipment has been loaded on the van and weighed. If additional services are requested or become necessary after loading and weighing, additional charges will be incurred. Basic transportation charges depend on the actual weight of your goods and the distance they will travel. The total cost will include these transportation costs, any charges for Full-Value Coverage or Depreciated Coverage (see "Am I Protected Against Loss Or Damage While My Goods Are In Transit? "), plus charges for any "accessorial" services (such as packing and unpacking) performed by the United agent at your request. These charges are based on "tariff" rate schedules. Tariff provisions require that all charges be paid before your shipment is unloaded at destination (unless prior arrangements have been made for later billing). Payment for your United shipment can be made by one of the following methods: cash, traveler's check, money order or cashier's check. In addition, the American Express® Card, DiscoverSMCard, Visa® or MasterCard® can be used to pay for interstate moves only, with advance approval required prior to loading (unless other billing arrangements have been made). Personal checks are not accepted. All payment forms apply to both binding and non-binding estimates. If you have received a non-binding estimate and your actual moving costs exceed the estimate, you will be required to pay no more than 110% of the estimated cost at delivery. Should your actual costs exceed the estimate by more than 10%, you will be given 30 days after delivery to pay the amount over 110%. Payment of estimated charges plus 10% does not apply if goods are delivered into storage. If storage at destination (storage-in-transit) is necessary, all transportation charges must be paid at time of delivery of the shipment to the warehouse. You will then be assessed storage charges based on the applicable rates set forth in our tariff. Yes, but how much protection you have and its cost to you depend upon the United "valuation" program you choose - Full-Value Coverage or Released Rate Liability (60 cents per pound per article). The valuation option you select determines the basis upon which any claim will be adjusted and establishes the maximum liability of United. The liability of United for loss or damage is based upon United's tariffs, as well as federal laws and regulations, and has certain limitations and exclusions. Valuation is not insurance; it is simply a tariff-based level of motor carrier liability. If you desire insurance, you should consult your insurance company representative about available insurance coverages, because United does not offer insurance. With this type of valuation, United's maximum liability for loss or damage to any article in the shipment is 60 cents multiplied by the weight of the article. This is the basic liability level and is provided at no charge. Under this protection plan, if any article is lost, destroyed or damaged while under United Van Lines's interstate authority, it will either 1) repair the article to the extent necessary to restore it to the same condition as when it was received by United, or pay you for the cost of such repairs; or 2) replace the article with an article of like kind and quality, or pay you for the cost of such a replacement. An additional charge applies for this option. United will determine the appropriate settlement method to be used. Full-Value Coverage and deductible options are available in dollar increments to fit your needs at very attractive rates. United's total liability for loss or damage will be the amount you declare as the value of your shipment. However, the minimum total declared value must be at least equal to the weight of your shipment multiplied by $6.00. In the moving industry, items having a value of more than $100 per pound are known as "articles of extraordinary value." All "articles of extraordinary value" in your shipment must be listed on the High-Value Inventory form which will be given to you by the salesperson to complete. An online copy is also available. Although you might have other articles of extraordinary value, the following list should help you identify items that might fall under this classification: jewelry, furs, art and coin collections, crystal, figurines, antiques, Oriental rugs, precious stones or gems, china and silverware. In the event of a claim, any settlement involving an article of extraordinary value listed on the High-Value Inventory form is limited to the value of the article, not to exceed the declared value of the shipment, based upon the United valuation program applicable to your shipment. If an article of extraordinary value is not listed on the form, United's maximum liability is limited to $100 per pound per article. If you are not shipping any items of high value, sign the form and print the word "None" in the inventory list. Shipments that move under the Released Rate Liability program, in which the declared value of the shipment would be 60 cents per pound per article, would not be covered by the provisions applicable to articles of extraordinary value. The High-Value form should still be signed with the words "Not Applicable" written on the form. You must select the valuation program, and you must write your choice in the "Valuation" box on the Bill of Lading in your own handwriting. For a full description of the Full-Value Coverage and Released Rate Liability programs, please ask your Aaction Movers agent. 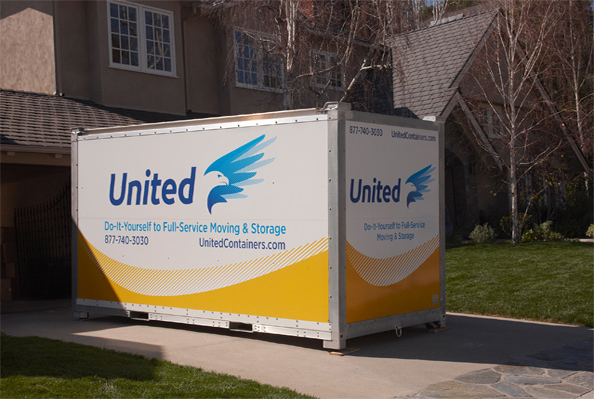 If you are unable to take immediate possession of your new residence, your belongings can be stored in a local United agent's warehouse. United agents throughout the world provide safe storage facilities for holding your goods until you're ready for them. However, you are responsible for the storage charges, warehouse valuation coverage and final delivery charges from the warehouse. If your goods are placed in storage, there will be an additional charge for the valuation or insurance coverage provided for your shipment, as mentioned previously. The type of coverage and cost will depend upon whether the shipment is held in storage-in-transit (temporary) or in permanent (long-term) storage. Please ask your United agent for information regarding storage arrangements. United's exclusive Sanitized®-treated, air-ride vans provide a clean, safe move. The Sanitized® feature, which inhibits mildew growth and controls insects, is an extra measure of hygienic safety for your belongings. In addition to this service, United protects your upholstered furniture with ClearGuardSM, a clear plastic material, before they are wrapped with furniture pads. Most refrigerators, washers, dryers, and other electrical or mechanical appliances require special servicing to ensure safe transportation. Any moving parts such as motors on major appliances, washer drums, and icemakers should be securely fastened for shipment. Gas appliances need to be serviced and disconnected prior to your move. It is the owner's responsibility to see that appliances are serviced for shipment before they are loaded on the van. Upon request and for an additional charge, a moving company will perform this service, using either its own qualified personnel or an authorized service company. For more information on servicing and cleaning appliances for moving, ask your United agent for the booklet "Moving Appliances & Other Home Furnishings." Cartons, paper and tape may be purchased from your local United agent for a small fee. Also ask your agent for a copy of the free booklet "Doing Your Own Packing." Lightweight clothing - sweaters, shirts, blouses, and lingerie - may be left in the drawers. Do not fill drawers with heavy items such as books, table linens or sheets, which can damage the piece of furniture during transit. Be careful NOT to leave fragile items, money, jewelry, watches or other valuables in the drawers, as well as anything that might spill or leak. For more information on how to pack clothing, please visit the Packing Tips section of this Web site. Frozen foods can be moved, but only under specific, limited conditions. Be sure to discuss this with your United agent. In most instances, we suggest that shipping arrangements be made through local frozen food locker plants, especially for a long-distance move. It is even easier just to use up the foods prior to the move or donate them to someone. For a complete list of items that cannot be shipped, please visit the Non-Allowables section of this Web site. Items of extraordinary value such as jewelry, money, photographs, antiques and stamp collections can be included in your shipment, provided you notify your United agent of these items before packing or moving day. However, we strongly recommend that you carry irreplaceable and expensive articles with you, or make other arrangements for their transport. United Van Lines cannot accept responsibility for safely moving your plants, because they may suffer from a lack of water and light as well as probable temperature changes while in the van. You may prefer to transport your house plants in the family car or ship them by plane. Some states prohibit the entry of all plants, while other states will admit plants under certain conditions; still others have no plant regulations. Be sure to check the regulations of the state to which you're moving. Ask your Aaction Movers agent for a copy of the booklet "Moving With House Plants." Pets cannot be carried on the moving van. Dogs, cats, canaries and parakeets can usually be transported in the family car. If this isn't convenient, your United agent will be glad to suggest alternate ways to ship your pets safely. Ask for a copy of the helpful United booklet "Moving With Pets."